Phew! Finally done! :D Coloring sure can be tiresome (esp when you're an amateur)! I think I prefer drawing. Lolz. Anyways, I thot I'd do a DARK atmosphere kinda pic for once, to depict Syaoran and Sakura's tragic love. 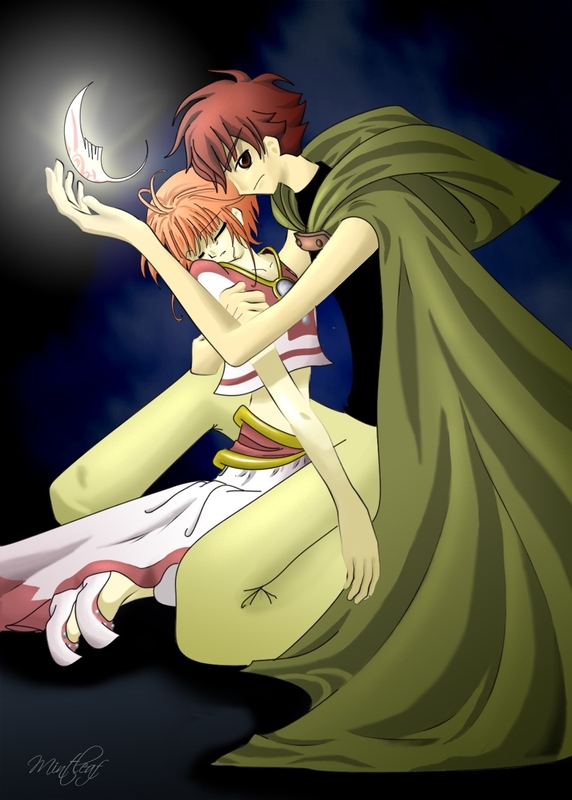 The idea behind this pic is that C!Syaoran would retrieve the feathers no matter what - even at the cost of hurting Sakura. Initially, I was wondering if I shud put this on MT....hehe...cos it's not that great and I actually DO see the anatomical mistakes. OX The original pencil drawing was done some time ago when I didn't notice em yet. ;p (He he , I think I know what you might say about the arms, acid ^_^'. Lolz. Believe me they were thinner before I edited them slightly. 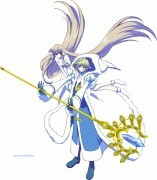 Um, I kno they're kinda long, I can't really pull it off like CLAMP ^_^'). And um, critiques are welcome so....fire away! XD Thx for any! I do appreciate how they help me improve. I like the whole "dark atmosphere" thing.